We get referral business because we are committed to offering a 1st class service. We have built our business primarily through word of mouth recommendations from individuals like yourself. If you find we have provided a good service for you, would you please recommend us to your friends, family and colleagues. GDPR By using this form you agree with the storage and handling of your data by this website and the salons computer. Guys and Dolls is a lovely place to go for whatever treatment you require. Friendly attentive staff who are always ready to help you. It’s a thoroughly enjoyable experience! Guys N Dolls are the best. Carrie and all her staff are so friendly always make us feel relaxed. I have been to other salons but none of them could touch Guys N Dolls for professionalism,atmosphere and value for money. I decided to try an intimate waxing, but was very nervous and then, nearly 60 thought that i was to old. 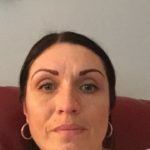 but after talking with Carrie on the phone i went along and meet Jenny,who was going to do my waxing that day and she made me totally relax, i now have a lovely lady called Karen who is lovely and is very professional like Carrie and all her staff. I now have a number of treatments done and my wife and i would never wont to go any were else. 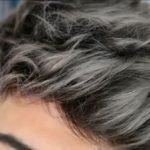 Hi I would like to get haircut (short sides ,back and longer top)but also would like to make my hair looks gray but need to looks natural so not all head in gray colour. So question is how much would this cost and is it possible to do it today? If you want a great cut, or colour, blowdry, beauty treatment Guts and Dolls is the place. However, If you want to feel terrific, want to laugh your socks off, want to be treated like a human being and not a number, then G&D’s is also the place. It sizzles with character and characters! Carrie should start charging for the therapy! Love my colour. Thank you Carrie!! Dean highlighted me hair , the colours are just gorgeous, thank you . Have to say how delighted I was with my hair do for a charity dinner dance. Carrie is lovely, felt like my best friend was doing my hair. Very relaxing. Transformed my dull scraped back pony tail into a glamorous and sophisticated look. Booked easily via the website and would definitely come back when I’m next in the area. Thank you Carrie and the team. Great place to get a haircut, love my style and it is always a friendly atmosphere and good conversation. I visited guys n dolls in tears after I stupidly bleached my hair at home!! I first saw Carrie and Debbie who were both very honest and lovely! Made me feel better just speaking to them! Then I came back and saw Dean. Dean was absolutely AMAZING! Managed to turn my hair from looking disgusting to nice again!!! It took him hours to do (sorry Dean) and he was so lovely throughout. Didn’t cost too much either! Thank you all so so much!! Definently be returning. Such a lovely place. “The clean fresh feeling of intimate waxing had always appealed to me, but I was too embarrassed to take the plunge until I discovered ‘Guys n dolls Hair’, who from the outset were very friendly and completely professional. From my first visit I was made to feel relaxed and at ease, with everything explained in advance, which completely took the concern and mystery away! Now a regular visitor, I enjoy all the benefits of regular treatments and wouldn’t think twice of recommending Guys n Dolls hair to all of my friends. To make things even better, I now combine my visit with a hair cut and treatments, which leaves me feeling completely relaxed. “ highly recommended ! I always use this salon for all my hair treatments and eyebrow treatments. Before I was quite anxious about finding a hairdressers as my previous experiences elsewhere haven’t been great. I have had my hair down by Carrie and Dean and my brows by Jenny and Lisa. All the staff are welcoming and make you feel involved the whole time you’re there. I really recommend this salon for anyone who is anxious or looking to find the perfect hair/beauty salon. For my prom I really want to ombré the ends blond (image sent), it’s currently a light brown, but I want to change the colour of it, so I was just wondering how much it would cost to colour it ombré? Thank you! 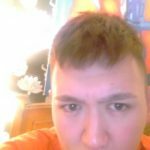 Hi, I’m a guy with kind of short to medium length hair for a male. I currently have my hair dyed a dark brown on top. My natural hair colour is black. I was wondering if it would he possible to get some sandy blonde blended natural looking highlights to go with my already dyed brown hair without the risk of ending up with ginger highlights & also what would be the cost of this hair treatment? I have included a photo of my hair currently. Also I wish to get this done asap when would he the next free slot for me to get this done please ? Just recently moved to the area and found this gem of a beauty/hair salon… Carrie really has such a warm and friendly team and they make you feel so welcome and part of the ongoing banter! Price is reasonable and John the hairdresser is the best blow dryer this side of Kent! Believe me I know as hair so is thick and unmanageable! Felt so at ease !!!! I’ve been going to Guys ‘N’ Dolls for over 10 years and never wanted to go anywhere else. Carrie and her team are fantastic with me and my son. She always gives great advice and always manages to squeeze me in. My son won’t let anyone else cut his hair! I’ve had hair cuts, highlights, straightening, GHD curls and my hair recovered after a home dyeing incident and all have been fantastic. Give them a try, you won’t be disappointed. I have been coming to Carrie & her team for years, and I’ve always had nothing but excellent service, I always have my hair cut & coloured and i’m so impressed that I recommended to my 2 sisters to get their hair cut here and they’ve also been coming here for years, the staff are really friendly and actually care about their client’s experience and being 2 minutes from Bluewater is an added bonus, I can honestly say that I would never go anywhere else. I have been going to Guys n Dolls for years now, Carrie and the team treat you like an old friend (whether it’s your first visit or not). 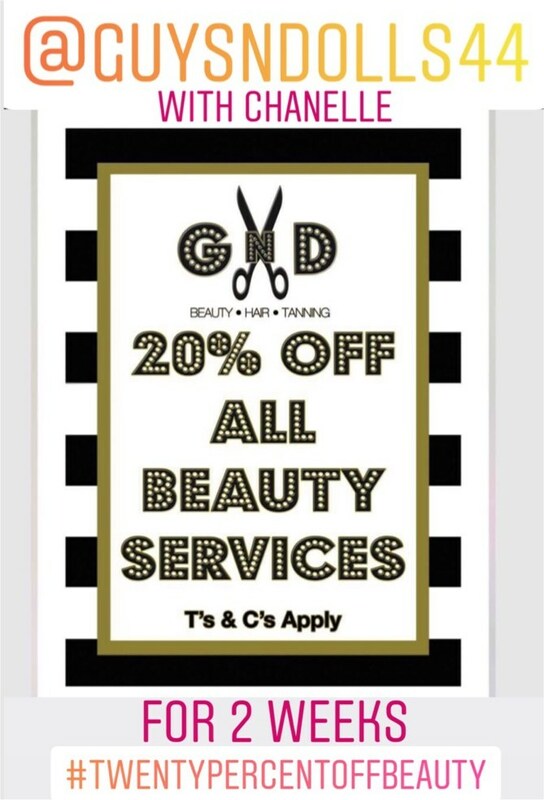 It really is a one stop shop for all of your beauty needs, with Hazel and Jenny for waxing, beauty treatments, Toni for nails, John Carrie, Becky & Lisa, they are friendly but professional, what with the sunbeds, spray tans, laser lipo, flabelos & botox too, you really can get everything in one place! I cannot recommend them highly enough. Try them, you will NOT be disappointed & you’ll thoroughly enjoy the experience too. Just tried Guys n Dolls sunbeds and can highly recommend them. The hottest bed i’ve had in ages. Actually looked like i’d had a sunbed. I only found this salon as mine wasn’t open. Visited Guys n Dolls today after finding my normal sunbed shop The Purple Lounge on The Brent had shut down. Girls where all lovely and helpful. Salon was clean and tidy. Nice cool rooms and even better news they have a leg tanner. My legs have never tanned as quick as my body and its given my legs a boost. The lady at reception talked me through the process of using tanning beds and the benefits of using a cream which i had no idea about before hand. Thanks ladies. whopping 6 inches in my first 3 treatments. it actually really works. Yvette the lady that does it is a real sweetie. I was totally at ease from the start and felt so comfortable with her. Busy salon lovely staff. So handy you can park easy too. I moved to the area some years ago and, in search of a local haircut, stumbled into Guys and Dolls. I was immediately struck by Carrie and her team – not only were they professional and excellent at their job – but they excelled in friendliness and customer service. Fast forward a few years and my wife had her beautiful wedding hair done by Carrie. It’s now a family outing for hair cuts as our two young daughters now go to see Carrie as well! A highly recommended establishment. Tried this salon for gel nails. Brilliant service, nails were finished to a great standard. All staff were welcoming. Definitely worth a visit! Had my Hair Cut Eye Brows Waxed And Back Wax ready fort Holiday. Can’t recommend this salon enough. Friendly Helpful And open After 5pm most days. Which makes it easy for me as I work full time. The guy who works here smartens me right up. A the Scottish Beauty Bird who did my waxing is very gentle and professional. See you both in 5 weeks. Guys n Dolls in Dartford have The Best Sunbeds around. I’ve had a Course at Purple Lounge done the road but it has closed down. So I popped in to Giys n Dolls as its close by. Wow what a difference in the staff keen and welcoming. Nothing was to much trouble. Explained why I needed to use a Sunbed cream. Which wasn’t said to me before. I got a tanning mark on my first go. The stand up ‘s are well vented with air conditioning and they had a Sunbed just got your legs too. So pleased with this shop. Always open too. Unlike the other salon. I’ve had my Toes done with Gelish too. Perfect find. I have been going to Guys N Dolls for the past ten years. 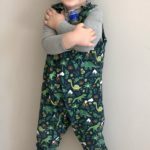 The shop offers a wide variety of beauty regimes at affordable prices including all ages of haircuts, which my young three children have and feel totally at ease with Carrie. Very happy customer. From the first time I went to Guys and Dolls I was made to feel like an old friend! (I am now), it’s more like a visit with your friends, you are always made to feel very welcome & I have always been very happy with mine & both my sons haircuts. Hazel is lovely too. I used to have waxing done up town (twice the price too), never again. She is very professional & the best waxing ive had done for a very long time (& ive been waxing for 20+ years). Toni also does an awesome job with nails & you will not be disappointed if you visit here. All prices are very competitive too. For all of your beauty needs try them. I promise you will not be disappointed in any area! I Originally came here for the flabelos machines, which are brilliant, have since had my hair done, my nails done, semi permanent eyelashes, laser lipo, facials among other things. This place is a little gem and the staff are really friendly and great at what they do. Would definitely recommend anyone to come here, I don’t think you will not find what your looking for! Used for many many years and never had a bad hairdo…in fact Carrie has sorted out a few of the bad hair cuts I have had when using another haridresser… always very professional and a great atmosphere, I wouldnt go anywhere else and its worth every penny!! My 13 year daughter has had her hair cut since a baby in Guys and Dolls and she refuses to use anyone else now…!! Have been coming to this salon for years, having colour, cut, waxing etc… Carrie and the team provide excellent service and can fix any problems. There is a great atmosphere and i would definitely recommend this salon. I WOULDN’T GO ANYWHERE ELSE!!! I have been a customer of Carrrie & the team for about 12 years now and I certainly wouldn’t go anywhere else to have my hair cut & styled. I went somewhere else once, but I’ve got to say I was very disappointed. 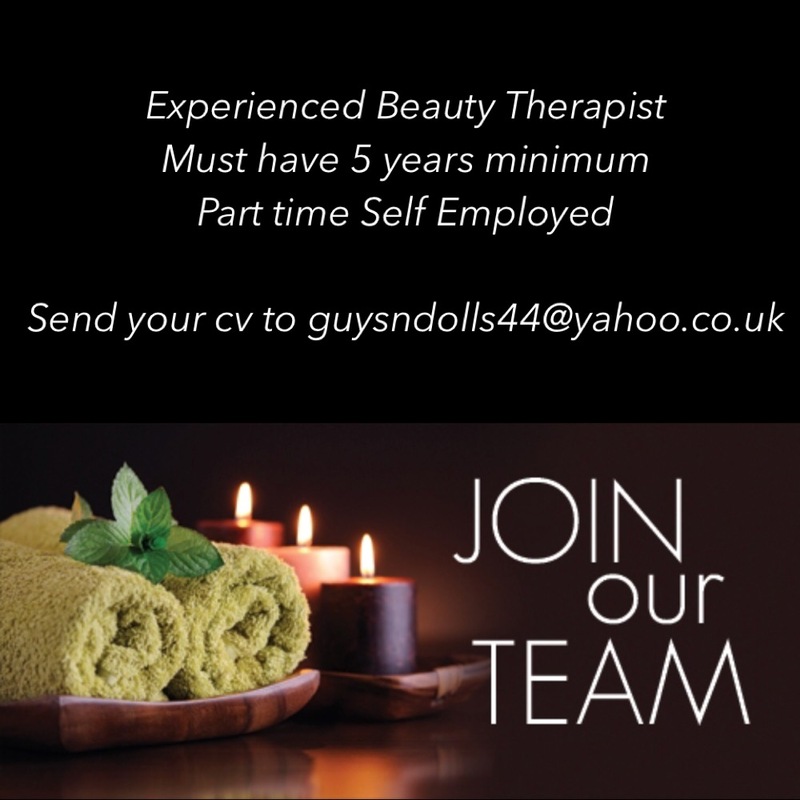 I’ve recently converted to Guys ans Dolls for all my beauty treatments…..waxing/spray tan/massage with the lovely and brilliant Hazel. I have been to many beauticeans over the years and I can honestly say that Hazel is the best, I would strongly recommend her to all of my friends and family. Love Guys and Dolls, it’s got a really friendly atmosphere and I always come away with great hair, lovely smooth legs and smiling. I have been going to Guys N Dolls for over 10 years. 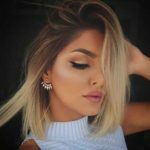 It is a friendly and professional saloon, with a wide range of beauty treatments available from sun beds, laser lipo & flabelos machines which is highly recommended at a competitive price. All three of my children have their hair cut at the saloon with no tears or tantrums I am pleased to say. I have been a customer for more than 10 years, the saloon is friendly and professional. Guys N Dolls is not just a saloon it offers a wide range of beauty regimes such as sun beds, laser lipo & flabelos machines at a competitive price. My three children also have their hair cut by Carrie with no tears and tantrums which I’m pleased to say, due to her adaptable nature. Highly recommend fab salon and fab people!! I’ve been going to guys and dolls for a long time. I’ve Always been made very welcome with all the staff. I’m Always happy with with the end result fantastics stylists excellent customer services I would recommend guys and dolls to everyone. I have been going to guys n dolls for my hair for almost 10 years now, i also take my three children there too, Carrie always finds time to fit us in at short notice even if she is fully booked. I love that the salon does lots of new beauty treatments, so it caters for all our needs under one roof. I had my first bikini wax with Hazel, she was the best and I’ve been back already! She made me feel so comfortable and was painless… she took her time and was thorough. After speaking to others about their bikini waxes, I’ve recommended them to Hazel as she has done a much better job than their beautician. She also talked me into the Audrey Heburn eye lash curl… LOVE IT. TRY IT! I wont be going anywhere else for my waxing now or my sundbeds. Had first bsc wax with Hazel, to say i was nervous was a understatement but I need not have worried. Very professional and quick to put me at ease! I can’t recommend Hazel enough. I have been searching for a new waxing specialist for a while and what can I say ?? I am so glad I found Guys and Dolls, Hazel is a little gem!! Very professional and put me at ease. I would recommend her to anyone and I shall be using other facilities in the salon Thanks Hazel! After my regular beauty therapist moved away I tried Guys n Dolls for the first time and will definitely be going back for more treatments and also recommending to friends. Hazel was very friendly and puts you at ease straight away. Extremely professional and the results are to the highest standard. Guys n Dolls cut my 11 month old son’s hair a few days ago and were absolutely brilliant. My son was a bit of a pickle and the staff did a great job of trying to keep him entertained. His new hair style looked great and the staff gave us some locks of his hair with a card stating the date. I highly recommend Guys n Dolls and will be returning! Really want to let everyone know how fantastic HAZEL GnDs new beauty therapist is. I had my first experience of intimate waxing “The Bermuda Triangle” this week. To start I was terrified to say the least. No need though Hazel put me at ease straight away, she is highly professional from start to finish. No awkward silences or embarrassment what so ever. I’ve had regular waxing before I’m always left sticky red and a bit sore in places. Not this time. All smooth. I really can’t promote Hazel’s expertise in waxing enough. I have been having my haircut and coloured at guys n dolls for over 13 yrs now and although I have moved half an hour away I still have my haircut here . I also have had beauty treatments. When my son needed his first haircut I brought him to Carrie. She is really good with children too. 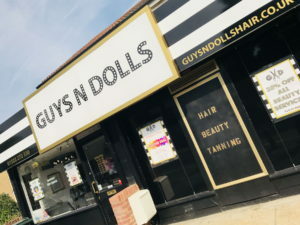 Since moving to dartford four years ago, I tried a few different salons… but after visiting guy’s n dolls ive never been anywhere else.it is by far the best salon offering hair , beauty , tanning and lots lots more. Top service by friendly lovely people. So much so that after such a short time carrie has become a good friend and confidante …. five stars all day long. A recent visit to Guy’s and Dolls proved that despite having been a customer for some years now the friendly welcome just never changes. The range of facilities on offer is very extensive and Carrie is by far the hostest with mostest !! Keep up the good work. Expert and professional hairdressing at its finest! I have been using guys and dolls for the last few years and I would not go anywhere else! 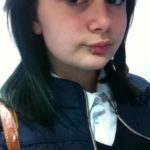 The polite and friendly team are one of the main factors as to why I have recommended the salon to all of my friends, family and work colleges as well as the fact they provide you with the finest high quality hair cuts in kent! ALL ROUND 5 STAR EXPERIENCE!!! Carrie is the only person I trust with my hair lol. Absolutely the best hair salon around. Always welcoming and friendly. I have recommended to many friends and they are now all regular clients. Outstanding service. Have been coming here for almost 10yrs and would not go any where else. Always friendly and welcoming and made to feel comfortable. Nothing is too much trouble. ★★★★★ Went today for the treat yourself Thursday deal. Very pleased with the service, very professional and nice. Happy with the results too. Will be taking advantage of this offer again! Thank you. Have been going to Carrie at Guys N Dolls for several years now and am always thrilled with my hair both cut and colour. Fantastic gaff! Proper good sun beds. Definitely recommend! Ive been visiting Guys and Dolls for a couple of years now for haircuts and sunbeds and hopefully for some treatments in the near future 🙂 Love visiting whatever the reason. Always friendly, helpful and very knowledgeable about all products and treatments. I trust there judgement 100% Always feel pampered and relaxed….like a mini holiday. Guys n Dolls comes highly recommended, after moving to the area it was the first salon I tried and have been going ever since for treatments ranging from hair to flabelos and everything in between! I’m always made to feel welcome and staff are helpful and chatty … A credit to Carrie. I have been going to the salon for nearly 7 years. The staff are friendly, prices reasonable and the opening times suits all! I have waxing, hair, beauty, flabelos, tanning and now wraps. I wouldn’t go anywhere else. Always 100% happy and would highly recommend. Ive been to a lot of salons in my time . But im always satisfied with every element of treatment I received . May it be sunbed , flabelos , minx nails , my hair , whatever. The customer service in this salon is second to none I would never visit anywhere else . Im new to the area only been here couple of years but introduced a few friends who would also never visit anywhere else . Carrie is the most nicest owner ever and from being a stranger we are now good friends . 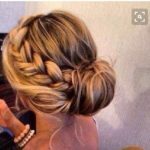 I have being going to this salon for the last 17 years and I have had every hairstyle and colour you can think of, all of which have been recommended by Carrie and her team and their advice and guidance have never been wrong. The team are very professional, polite and courteous and they are always up to date and aware of current trends. I continually recommend this salon and I always look forward to visiting and coming out feeling and looking fantastic. I have used other sunbeds in lots if different places but they have barely got hot and I would have ended up spending a fortune to even get a hint of colour. The tubes are replaced regularly so it’s always nice and hot, I’ve got a nice glow after only a few 6 minute sessions. I also love the leg tanner too, I have never come across this, but it’s handy for getting some colour on my pasty pins. I have been using Guysndolls for many years since Carrie first opened in Stone. The salon is very friendly and the staff all do their best to cater to your requests!! Very impressed with all the beauty things I have had done and Carrie has cut my boys hair for a long time now. Nothing is too much trouble.. I have been going to Guys n Dolls for the past seven years now.. During these years I have had my hair cut, died, treated, eyelash extensions, eyelash tints, eyebrow shaping and much much more.. Carrie and her team always make you feel welcome from the minute you walk in the door until you leave. Nothing is too much trouble. I would highly recommend this salon to everybody who want to spend time being pampered with a friendly smile..
A comfortable, fun, friendly salon! Love guys n dolls! A comfortable, fun, friendly salon! I have a severe medical scalp condition and Carrie has always made me feel so welcome! She created my first side fringe to disguise mu skin condition which I have been sporting for the last 6 years! My fringe has been my saviour! I have also come in with various hair colour disasters and Carrie has always fixed them for me making me feel confident again. Genuinely can not praise this salon enough! Fantastic atmosphere and always come out happy after having such professional and excellent service from Cary and the rest of the staff. You always get a warm welcome from Carrie and her team. The salon has a great vibe and I always walk away feeling amazing. I’ve been a client here for about 9 years and would never go anywhere else. I’ve been going to Guys n Dolls to get my haircut for over 17 years now. I’ve always been very happy. They alway manage to fit me in. The upbeat atmosphere in the salon is always interesting and makes me smile, everyone who is a regular will know what I mean…………. I used to use another sunbed shop in dartford but now ive been here there is no going back. Recently retubed standups are outstanding and the leg bed does an amazing job. All of the staff are always welcoming, helpful and informative. I have recommended guys n dolls to several friends and they all have the same opinion as me. Love having my hair done at guys and dolls and sunbeds are the best around. Late opening hours is also a bonus!! Brilliant salon , lovely staff . Love the fabulous machines – gelish nails brilliant value for money!!! Friendly, helpful and very qualified staff always happy to help. Professional salon that offers superb quality treatments. Always a pleasure! I visit Guys and Dolls every week for my sunbeds, and they are the best ones in the area. Always creams available to purchase and the strongest bulbs. The leg tanner has also helped me even my tan out for my holiday. I always feel welcome and enjoy the busy atmosphere. I am always recommending Guys and Dolls to my friends. Carrie and her team are very welcoming and are professional perfectionists, nothing is too much trouble for them! I have been a loyal customer to guys n dolls for last 19 yrs, it is a highly professional modern salon with up to date stylists beauty treatments and much much more, not only can you get your hair styled but you can tan in there amazing sun beds and leg tanner which locally is the only one to me and I love love love the results and golden glow the tanners and excellent sun creams available give, the beauty treatments available are so many and with new lazier treatment for teeth and skinny wraps and the other facial and body treatments available I need not go anywhere else. The staff are always accommodating professional and polite and the salon manager/ owner Carrie is a truly successful business owner who is up to date with the ever changing fashions of hair and beauty, and always will do more than needed for her clients in a truly welcoming way. So guys n dolls is so recommended by me Thank you for keeping me beautiful!! I can highly recommend getting a haircut at Guy n Dolls. I have been regularly for the past 8 years and always leave feeling smarter and fresher.